Evanton lies a mile north of the Cromarty Firth four miles south west of Alness. It originally sat astride the main A9 north from Inverness, but in 1979 it was bypassed by a road scheme that accompanied the new crossing of the Cromarty Firth built at the same time three miles to the south west. 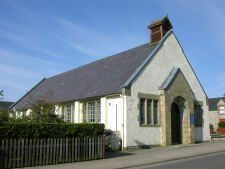 Evanton's origins can be dated back to 1810. The local laird, Alexander Fraser of Inchcoulter laid out a new township on land between the River Glass and the River Sgitheach on the line of the then newly build coast road. 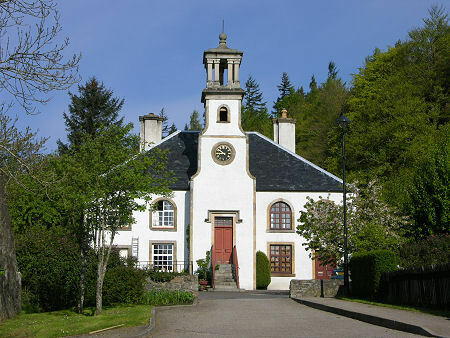 He named it after his son, Evan Baillie Fraser. 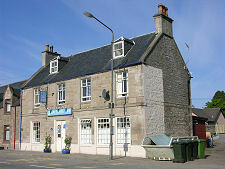 Evanton gained a railway station in 1863, and a distillery, Glen Skiach, appeared in 1896. 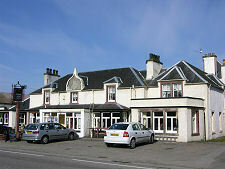 The railway still passes close to Evanton, but the nearest station is now at Alness. Glen Skiach Distillery stopped production in 1926, one of a number of Scottish distilleries that were unable to survive Prohibition in the USA which dramatically cut demand for Scotch. The Cromarty Firth had become established as an important naval base, when in 1922, a military airfield was built on the north shore of the Firth a mile east of Evanton. Originally known as RAF Novar, this had become RAF Evanton by the 1930s (it was known as HMS Fieldfare to the Royal Navy), when its main role was to service the Fleet Air Arm aircraft based on the ships of the fleet. The airfield closed in 1947. Since the 1970s parts of the site have been used to house industries associated with the North Sea oil boom, and despite the fact that this is well past its peak, Deephaven Industrial Estate remains busy. 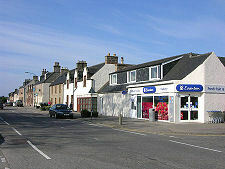 Evanton itself revolves around the junction between two roads. 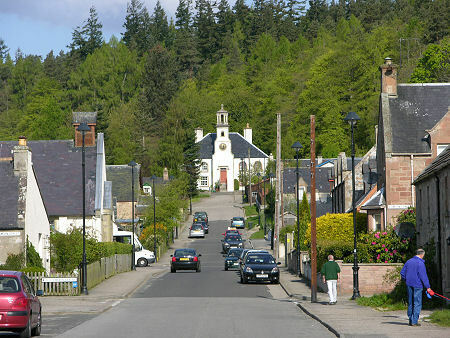 Balconie Street is the main through road, following the line of the old A9. Chapel Street runs north from this up a hill, terminating at the former Secession Chapel. Although converted to residential use, this remains Evanton's most striking building. 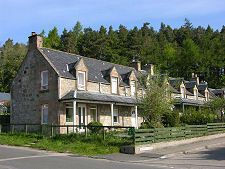 Kiltearn Cottage, Near Alness. Fabulously situated right above the Cromarty Firth, 16 miles north of Inverness, and with breathtaking views across the water to the Black Isle beyond, Kiltearn Cottage is as comfortable inside as its surroundings are spectacular. And if this were not enough, it is also ideally placed for exploring north to John O' Groats south to Loch Ness, and west to the north west coast. The comfortably and attractively furnished accommodation comprises a fully fitted kitchen, a separate dining room/sun room, a cosy lounge with open fire, two spacious bedrooms - one a double, the other a twin - and a family bathroom. Outside the cottage sits detached and alone in its own garden high above the water line. Garden furniture is provided and you'll find this a great place to sit and watch the world go by. Rates from £330-£495 per week. Tel: +44 (0)1835 822277.